Spring into a new routine! 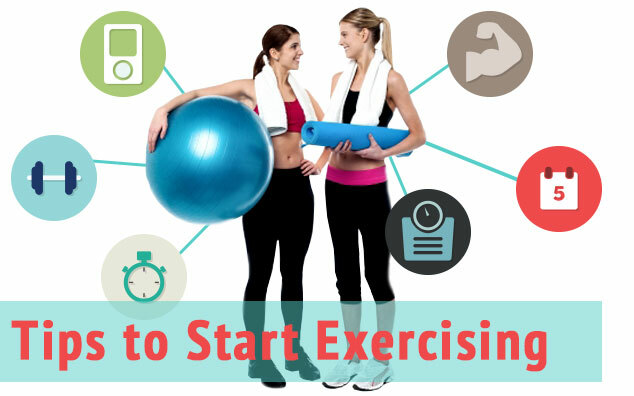 If you’re struggling to start a new exercise program, use these tips below to help! For example, plan to exercise for 20 minutes, three times a week. Don’t forget to track your progress by writing it down. Schedule your exercise sessions on your calendar just like any other appointment. Also make sure you have your gym bag in the car, or leave your walking shoes by the door to remind you to get moving. To reward yourself when you accomplish one of your fitness goals – such as staying on track with your exercise for a full week or month — treat yourself to a movie, massage or pedicure. Make sure they have good cushioning, arch support and feel so good that you’ll look forward to putting them on. Sales associates at many of the sports stores can help you find a good pair. Make sure you replace the shoes when the old pair starts to lose their support — probably about every three to six months. Humans desire companionship. When someone is depending on you and striving for the same goals, this helps motivate you. Not only that, it just makes exercise more fun! Most people try to do too much when they start exercising. It’s okay to break up your exercise into segments throughout the day. Even small quantities of exercise and activity add up to big benefits. Begin with 10-15 minute chunks of activity, several times daily. Just fit it in whenever you can. One of the easiest ways for most people to work in exercise is to walk. Wearing a pedometer adds extra motivation by keeping you working toward a goal each day. A pedometer works particularly well for people who have a sit-down job or live a generally sedentary lifestyle. Although you could aim for 10,000-15,000 steps a day, many people will want to start with 5,000 steps or less, and work their way up over time. You don’t need fancy equipment to get a great workout. Basic exercise equipment like medicine balls, free weights, Swiss balls and kettle bells can be a big help. When you work more than one muscle group at a time and use full-body movement as much as possible, it takes less time to do a thorough weight-training workout. For example, try doing squats (lower body) combined with dumbbell shoulder presses (upper body). The bonus? Using full-body movements burns tons of calories in a short amount of time. Questions or comments? Please contact Maria Dress (mdrees@pdcm.com) or Liz DeJoode (ldejoode@pdcm.com), Health Promotion & Wellness Consultants for PDCM Insurance. May 15, 2014 in Exercise, Health, Healthy Lifestyle, Uncategorized.